This CD contains audio drama for the Haiyore! Nyaruko-san novel. 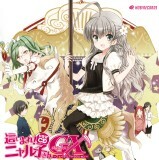 This is the fourth drama CD for Haiyore! Nyaruko-san.